Lifting your voice can be subversive. This is a lesson learned by Starr Carter, the main character in Angie Thomas’s debut novel The Hate You Give. A year ago I purchased the book because I wanted to know what had my teenage niece and over 300,000 other readers buzzing. In spite of its title that gave a nod to hip-hop legend Tupac, I expected the book to be a typical Young Adult (YA) novel filled with teenage angst, self doubt and a neatly packaged conclusion that solved all of life’s problems just long enough to set up a sequel. Over the last 10 years the most popular YA novels have been dominated by muggles, wizards, werewolves and young people chosen to fight for the honor of their district. Thomas shattered that mold by crafting a complex narrative of the repeated messages that tell young people their lives have less meaning than others simply because of where they live, who they love and how they look. The book is an affirmation of the beauty of young people and their ability to challenge the boundaries of community both real and imagined: “Your voices matter, your dreams matter, your lives matter. Be the roses that grow in the concrete.” Let’s be roses. Together.” Although the focus of The Hate U Give centers on an unarmed young person dying at the hands of law enforcement, recent events remind all of us that violence disrupts our collective sense of peace and pursuit of freedom. Violence is at its core, a denial of the humanity that dwells within each of us. Not just some of us. Not just those who look like us, who vote like us or who worship like us. All of us. And yet in the last week we have witnessed three of the most violent acts of domestic terrorism in recent memory. It began in Louisville, Kentucky where an armed White supremacist attempted to enter a house of worship before targeting and executing two innocent customers in a grocery store. While some pundits and media figures tried to dismiss the shootings as an isolated occurrence, Maurice Stallard and Vickie Jones were slain by the pervasive hate that continues to fester in this country. It is a hatred that paints difference as a threat rather than progress. The shooter’s initial attempt to breach a mid-week prayer service in a predominantly Black church connects to the longstanding tradition of undermining Black peace by targeting houses of worship. In 1963, four little girls — Carole Robertson, Addie Mae Collins, Denise McNair, and Cynthia Wesley — were murdered at the Sixteenth Street Baptist Church in a city nicknamed “Bombingham” because of the frequent use of explosives to reinforce racial segregation. Three years ago, nine parishioners at Mother Emanuel Church in Charleston, South Carolina were murdered by a twenty-two year-old whose hatred was stoked by various social media sites that act as a haven for white supremacists. The shooter’s hatred claimed the life of Susie Jackson who at 87 years-old, had lived through the violence of Jim Crow only to die during the so-called post-racial era of American politics. Hundreds of miles away from Kentucky, a Florida man launched one of the largest assassination attempts against U.S. political leaders in history. Even as President Trump resisted using the word “terrorism,” the mailing of pipe bombs to former Presidents Bill Clinton and Barack Obama, along with current Senators Corey Booker and Kamala Harris make it clear that the notion of democracy as a peaceful exchange of ideas is little more than a myth. Peace shouldn’t be partisan. Nor should hatred be the tie that binds those who feel politically alienated. Within days law enforcement officials were able to track the packages to a man whose social media accounts revealed that he had been radicalized over the last two years. From attending campaign rallies to plastering his van with stickers and mantras that denigrated various groups, this homegrown terrorist was emboldened by divisive rhetoric that justifies violence in the name of putting America first. Indeed nationalism is the very political ideology used to justify the wholesale slaughter of 6 million Jews across Europe. Elie Wiesel once wrote, “for the dead and the living, we must bear witness.” We, collectively, can never forget the 11 parishioners of the Tree of Life Synagogue who were killed by a man who shared his hatred of Jews and other groups with fellow social media users. His hatred was magnified by networks like Fox News that provided a platform for people to spread dangerous conspiracy theories that accuse Jews of bankrolling a migrant “invasion” at the southern border to disrupt the upcoming midterm elections. This hatred infects the very fabric of our country and permanently paints certain groups as beyond the protections of citizenship. These aren’t isolated instance of hate. This is the hate we give when we refuse to soundly reject politicians and policies that promote fear in the name of partisanship. In eulogizing the children killed during the Sixteenth Street bombing, the Rev. Dr. Martin Luther King, Jr. reminds us that “we must be concerned not merely about who murdered them, but about the system, the way of life, the philosophy which produced the murderers. Their death says to us that we must work passionately and unrelentingly for the realization of the American dream.” As we stand just one week away from one of the most significant elections of our time, we have the opportunity to vote against hatred in all its many manifestations. It’s time. 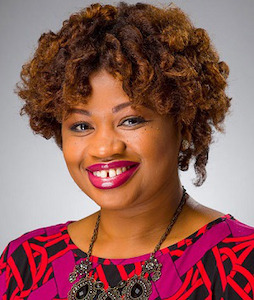 Dr. Khalilah L. Brown-Dean is an associate professor of political science at Quinnipiac University where she writes about American politics, political psychology and public policy. You can follow her on Twitter @KBDPHD.